Adjustable Diamond Cut Rope chain. 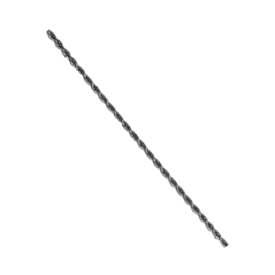 Fantastic 1.2mm wide pendant chain in your choice, 14k Yellow or White gold. Wear it at a variety of lengths. Chain is created in Italy and available in a 22 inch length. Slide the 22 inch to wear at an 18, 19, 20, 21, or 22 inch. Adjustable Diamond Cut Rope chain. 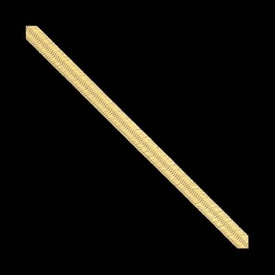 Great 2mm wide pendant chain, wear it at a variety of lengths. 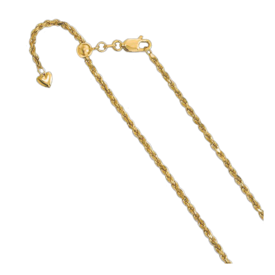 14k Gold semi solid design diamond cut rope chain. 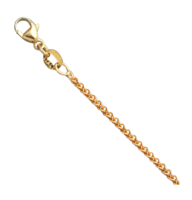 Chain is created in Italy and available in a 22 inch length and longer 30 inch. Slide the 22 inch to wear at an 18, 19, 20, 21, or 22 inch. 14k white gold diamond cut rope chain. 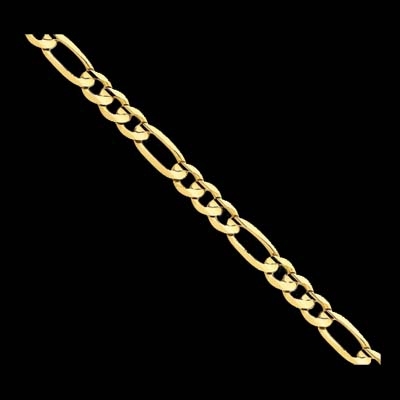 This great chain is available in an incredibly large variety of widths and lengths. The rope chain is a nice sturdy chain, great for a pendant or just to wear alone. The diamond cutting gives this chain a lovely sparkle. Our price shown is for the 2mm chain with a lobster claw clasp in a 16 inch length and weighing about 6.24 grams. 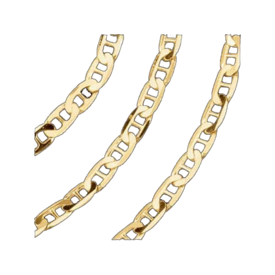 Beautiful 14k Yellow gold flat design wheat chain, also called a Spiga chain. This is a durable chain and is good for a pendant. 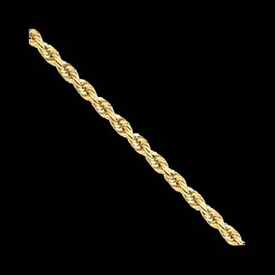 We offer this gold chain in the 1.8mm width and a variety of lengths. Our price shown is for the 16 inch length. This chain is secured with a lobster clasp. 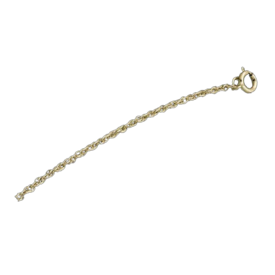 Beautiful 14k Yellow gold natural 1.5mm round wheat chain. The natural wheat chain is available in a variety of lengths, our price shown is for the 16" 4.8gram selection. The natural chain color blends nicely with many cross and pendant selections we carry. Always popular 14k Yellow or White 2mm bead chain. 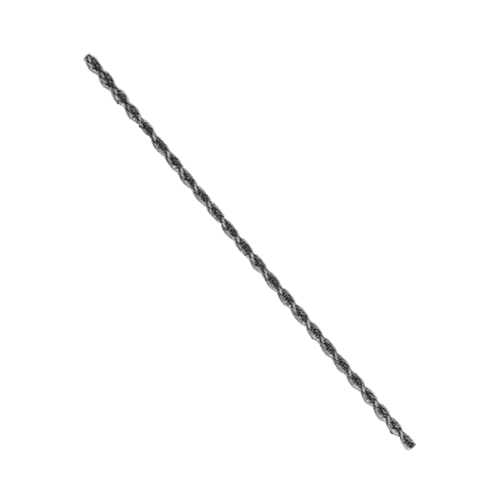 This chain is readily available in a 20 and 24 inch length. 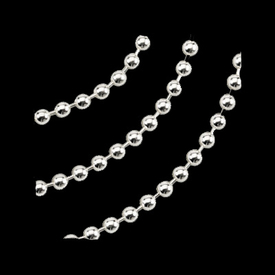 This bead chain can be ordered in any custom length. Price shown is for the 20" length approx. 6.40grams. Image shown is enlarged for detailed viewing. Perfect chain for a dog tag pendant. 14K Gold Figaro Chain 1.25mm. Great pendant chain. Price show for the 16 inch chain, also available in 18, 20, and 24 inch lengths. This dainty figaro is a nice to wear with your favorite pendant or maybe when you feel like a dainty accent. Our 14k yellow gold concave open figaro chain is a hand polished chain and available in a large variety of widths and lengths. Price shown is for the 3mm width 16 inch length. Widths up to 7.5mm are available in this durable figaro chain. 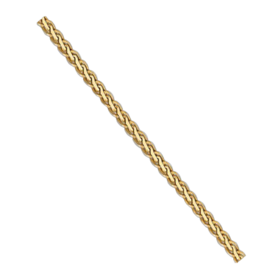 14k Yellow or White gold diamond cut rope chain. This great chain is available in a large variety of widths and lengths, custom lengths also available. The rope chain is a nice sturdy chain, great for a pendant or just to wear alone. The diamond cutting gives the chain a lovely sparkle. 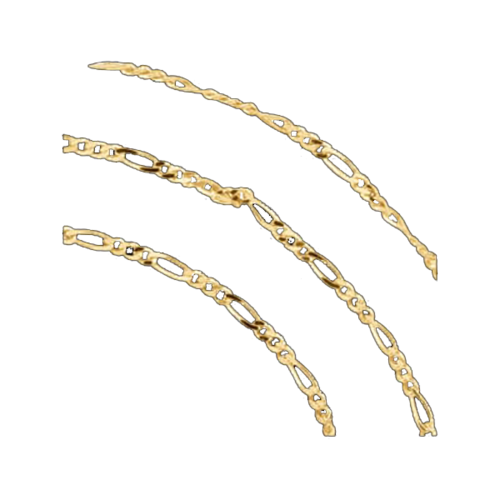 Our price shown is for the 1.6mm chain with a lobster claw clasp in a 16 inch length and weighing about 3.38 grams. 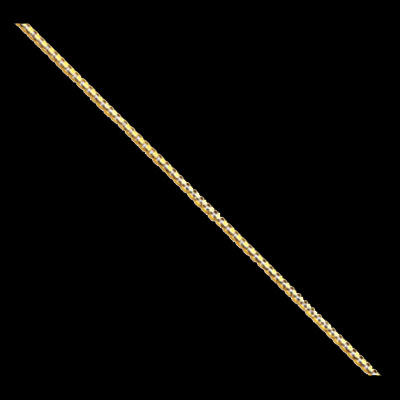 14k Yellow or white Gold Box chain. This is a petite version of this versatile box chain. Square boxed links interlock forming this radiant durable chain. Great for pendants or by itself. 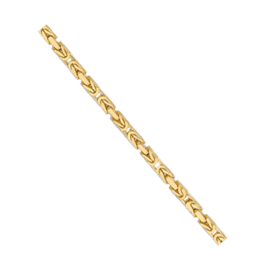 This chain measures .55mm in width and is available in a variety of lengths. 14k Yellow Gold Figaro 2mm is available in a 16, 18, 20, and 24 inch length. This chain ends with a spring ring clasp. With it's style and versatility it's easy to see why this chain is a popular choice. Wear this alone or with a pendant. Price shown is for the 16" length. 14K Yellow or White Gold Bead Chain 1mm available in a variety of lengths. Price shown for the 16" length, prices listed up to 24" length. Great pendant or dog tag chain. 14K Yellow Gold Cable Rope chain. Loose design makes this an affordable pendant chain. Higher tensile strength and laser welded joints guarantee that you will have less breakage. Available in width from .75mm up to 1.75mm selection.